times, they are a-changing here at calliespondence. 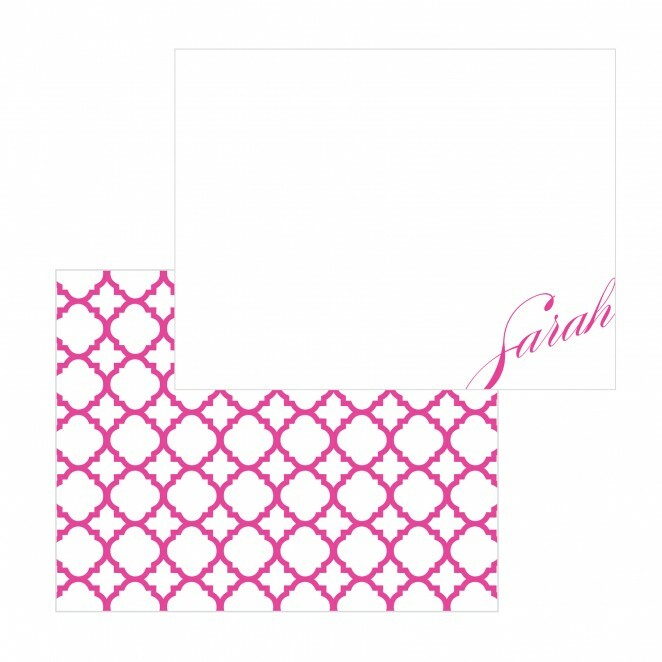 when i first started out doing stationery in late 2009, it was a side gig to my “real” job, which was being a marketing manager for a design firm. 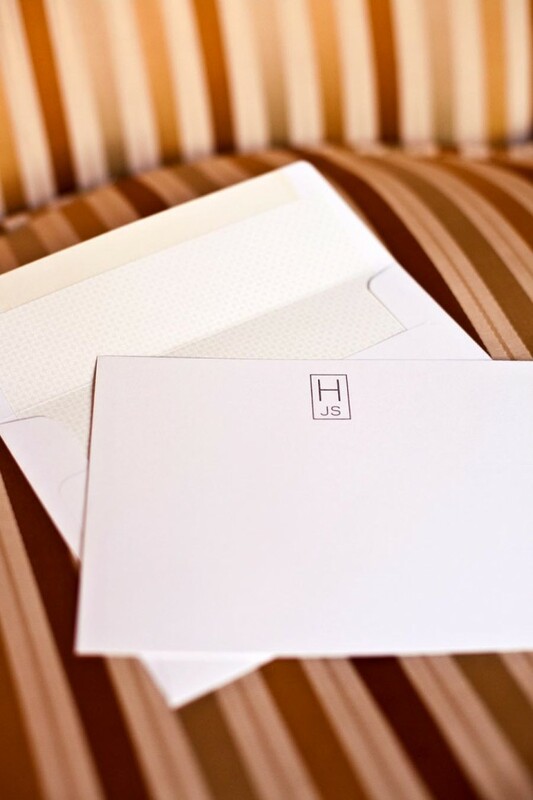 i had just a handful of what i affectionately call ‘clients,’ which was really a group comprised of my close friends that were sweet enough to let me design their birth announcements, wedding invitations and stationery in an attempt to build up my portfolio. god love ’em, i had no idea what i was doing – but they were so forgiving, in the way that good friends are. i am supremely indebted to that group of folks and will never forget the way they embraced this new venture of mine…i really have the best friends. time went on, and friends of my friends started calling (er, emailing but you know what i mean). and then friends of their friends who received invitations or announcements of mine, and then people who found me on the internet, blog, and so on. i started to get busier and busier, and as fate would have it, the corporate job went away (a mere seven weeks before i was set to deliver rinne…but that’s a story for another time!) with the decline of the economy. i actually kept expecting the stationery biz to dry up too, what with people still hurting financially and it being somewhat of a luxury item…but i have yet to see it. i am so blessed to be busy. but i am also blessed to be able to now stay home with these two wonderful children of ours, who require and deserve a lot of attention. i only do stationery work during naptimes, preschool and after they go to bed at night. as a result, i’ve been staying up pretty ridiculous hours (let’s just say i usually go to sleep when it’s already the next day). i have always been a night owl, but it’s getting to be a little silly. so something’s got to give. for so long, i have been trying to build up my business and portfolio and do new things – i’ve been blindly saying “yes!” without giving a thought to whether it’s something i really want to do, if it fits into the style that i envision calliespondence to have or if i can even make money doing it. that’s crazy, right? the thing is…i simply don’t have time to do that anymore. so what does that mean? well, i might say no to a job every once in awhile if i’m too busy, which is really super very extra crazy hard for me. i’m just a “yes” person, typical people pleaser, non-confrontational, want to make everybody happy kind of girl. it’s a terrible and wonderful quality for a business owner to have. not that i want to be ruthless or shrewd, but it’s no coincidence the most successful women are just that…oh well. never gonna happen. i am also going to instate a $50 minimum on any order. i love working with all of my clients of any shape and size order, but i just can’t spend oodles of time to make a ten-spot anymore. calliespondence has never been about making a bunch of money because let’s face it – it doesn’t pay many bills around here – but just from a return on time standpoint, i need to invest my energy in jobs that will be profitable. time is money, we all know that. but time when your children are little is worth a king’s ransom. 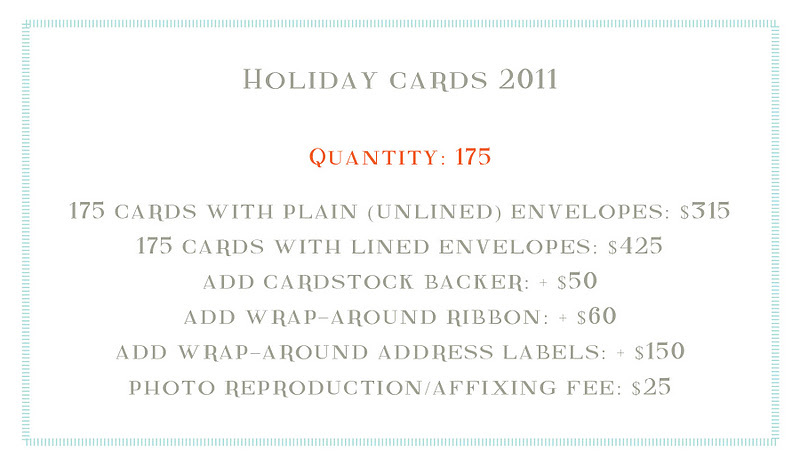 alright, let’s dive into holiday cards again today…and get down to the nitty gritty and talk dollars. first things first…the BARGAIN. i just love a good bargain and something tells me you do too. (i mean doesn’t everybody? yes?) 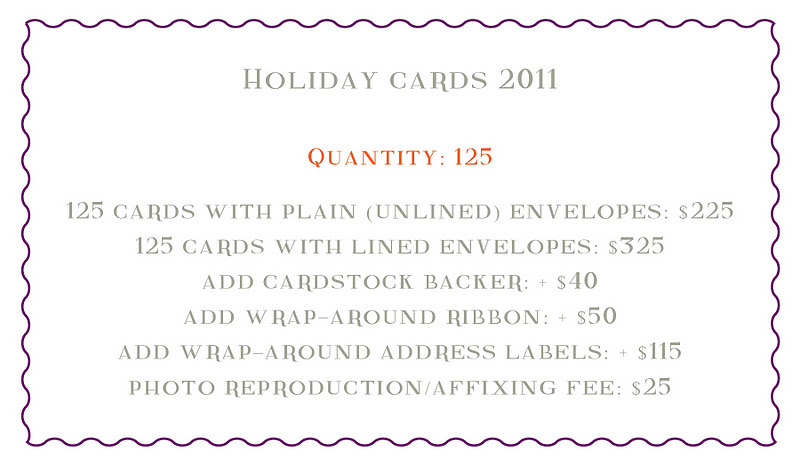 so, if you place your holiday card order by the end of october, that’s october 31st people, you get a *free* 25 cards included in your order. 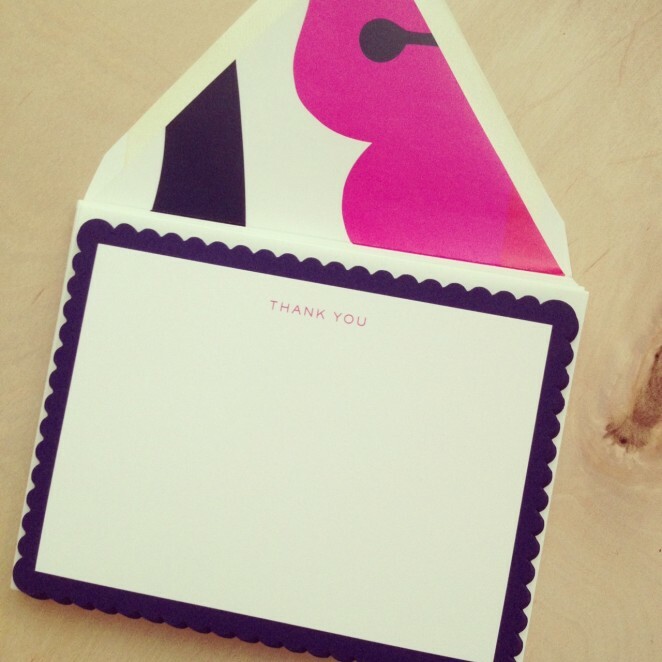 and it’s 25 free cards of whatever you order – lined envelopes, with a picture, etc. – no gimmicks. i would never! so keep that in mind – it pays to be an early bird. 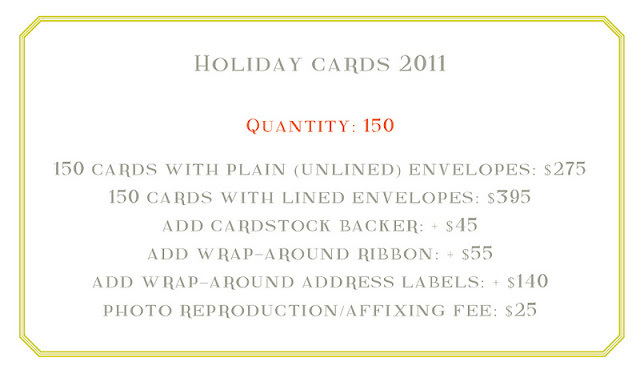 – format: all of the prices you see here are for flat printed, flat cards. 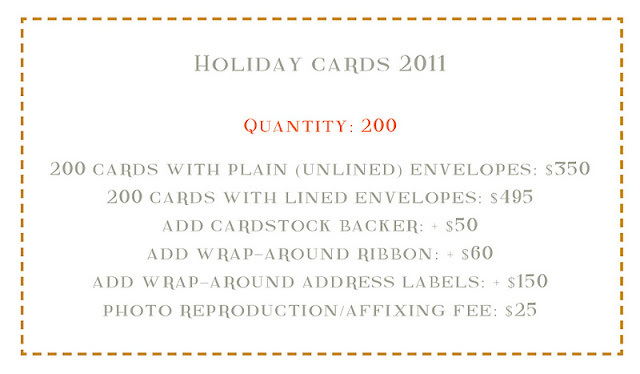 by “flat cards” i mean that there is no inside…picture and message all on one side. 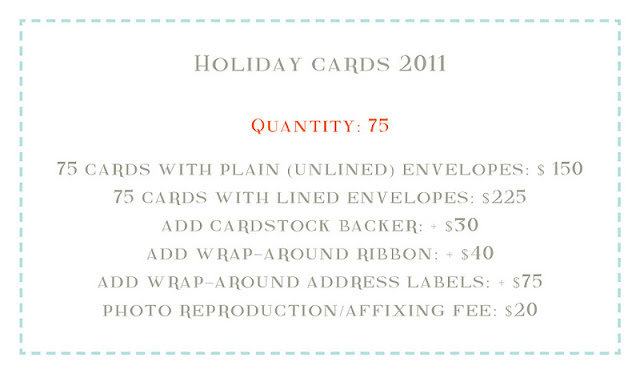 – additional printing methods: if you would like a price quote for either thermography (raised print) or letterpressed holiday cards, let me know how many you need and what extras you would like (photo, liner, etc.) and i’m happy to work up a price for you! email me and we can get started. 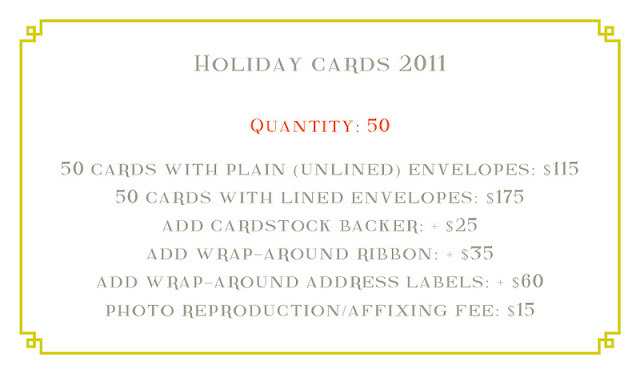 also, the deadline for placing letterpress / thermography holiday card orders is november 10th…those printing methods need a little more lead time. – pictures: i offer photo printing and adhering for my clients…not because i don’t like the photo-printed-on-the-card thing, but because i believe calliespondence cards are a little more boutique-y and special, if you will. and i think if you are going to invest in a more special card, it should look as high quality as possible…and in my opinion, a “real” picture looks nicer than a printed-on-the-card picture. i’m old school, what can i say. 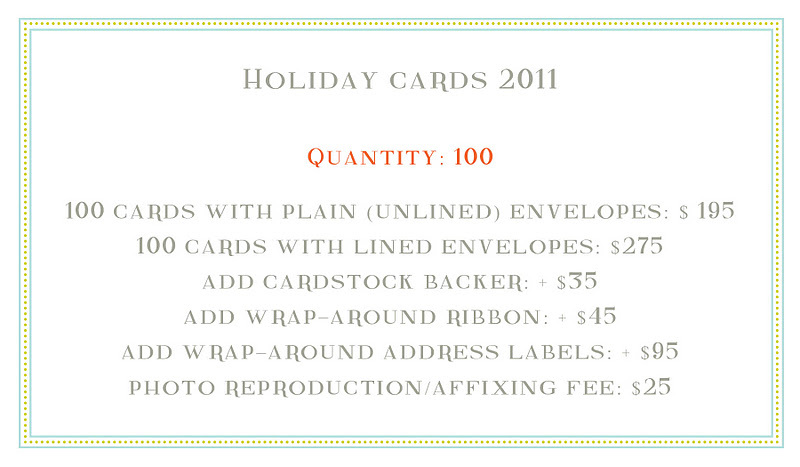 – turnaround time: if you place your order by the end of october, you will receive your holiday cards in november. 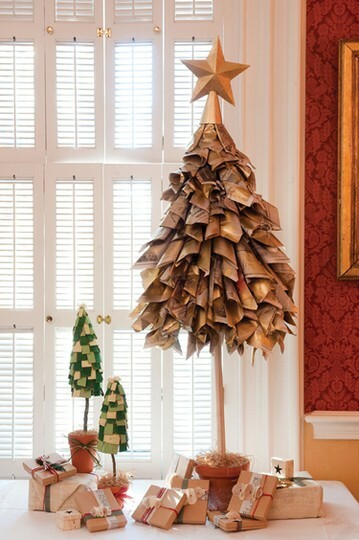 if you place your holiday card order in november, you will receive your holiday cards by the end of the first week in december. 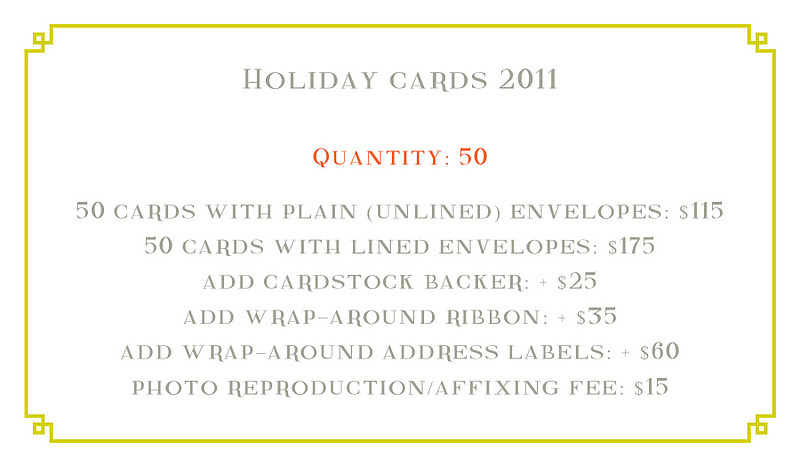 if you place your order in december, i will do everything i can to turn it around as quickly as i can! – how do i place an order? 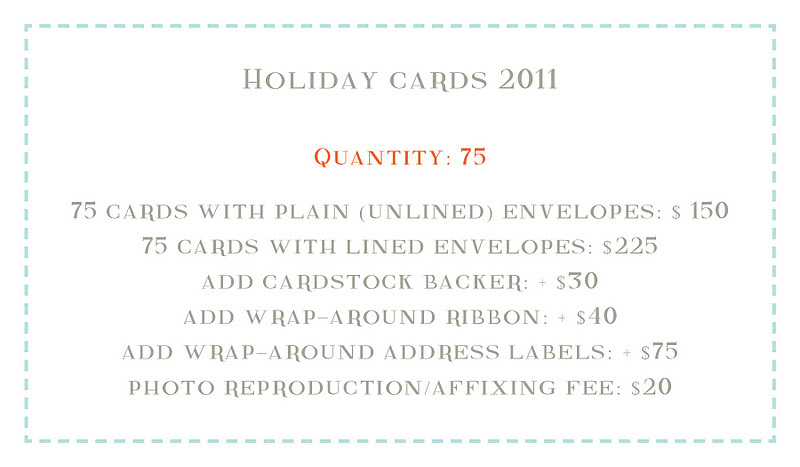 email me to place an order, or with any questions you may have! 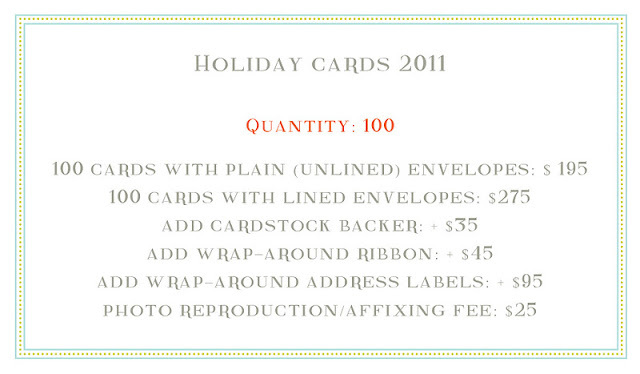 – example of cardstock backer here. 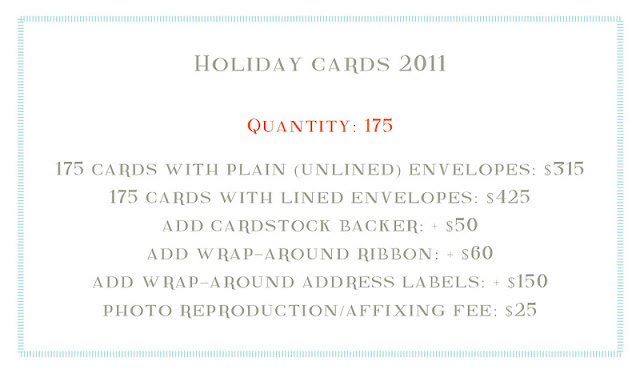 – example of wrap-around ribbon detail here. – example of wrap-around address label here. 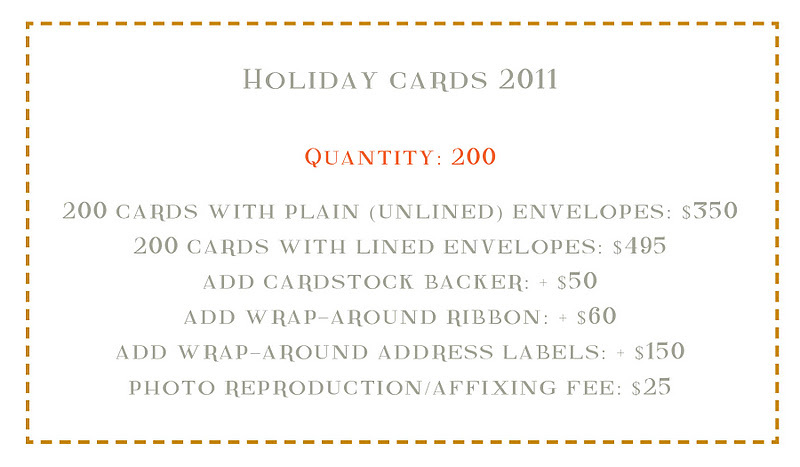 if you need more than 200 cards, let us know and we’re happy to draw up a quote for you. while we’re on the subject of parties…for the longest time, i’ve been quoting all projects on a case by case basis, getting to know exactly what a client needs before providing a price. and i’m glad to say i’m finally ‘with it’ enough to have concrete pricing done for flat printed party invitations! 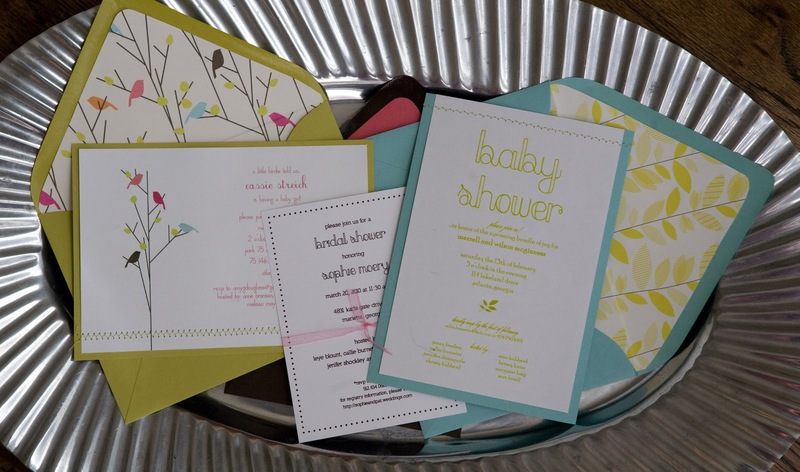 flat printing, in my opinion, is wonderful for invitations because you can use as many colors as you wish, and they are always printed on 100 lb. paper so they’re nice and thick on their own. 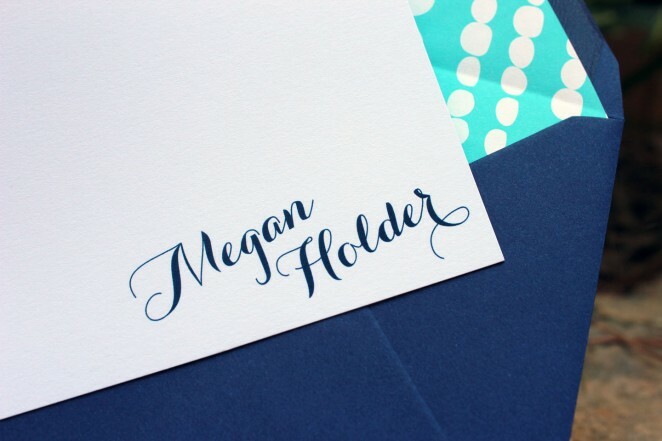 i’ve been doing loads of baby shower, baptism, birthday party (big people as well as little), engagement party and bridesmaid luncheon invitations and i l-o-v-e it. getting anything ready for a party is fun to me, so i get all into it and i’m sure my clients think i’m probably going to crash the soiree by the time we’re done. maybe one day i will, i mean i have all of the info already (kidding!!!!). alright, here is pricing for invitations! 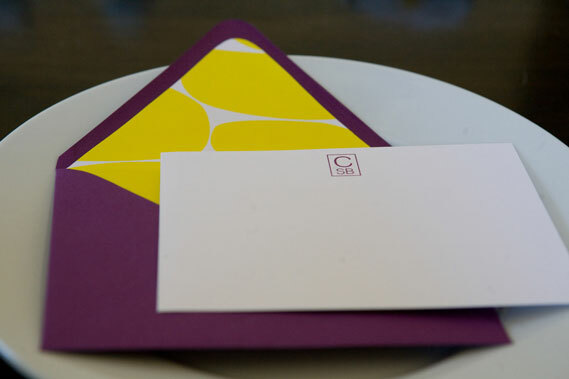 it’s more of a menu of options…feel free to mix and match as you please. if you desire invitations printed with thermography or letterpress, i’ll be happy to give you a custom quote based on what you need! just shoot me an email.